Whether you are enjoying the great outdoor or lounging in the house this summer, you don’t want to live without the Belize Shorts + Skort pattern. With one pattern, you can create five different styles of shorts and skorts. They all feature elastic waist and medium length in-seam. That’s right; no zipper and no buttons! 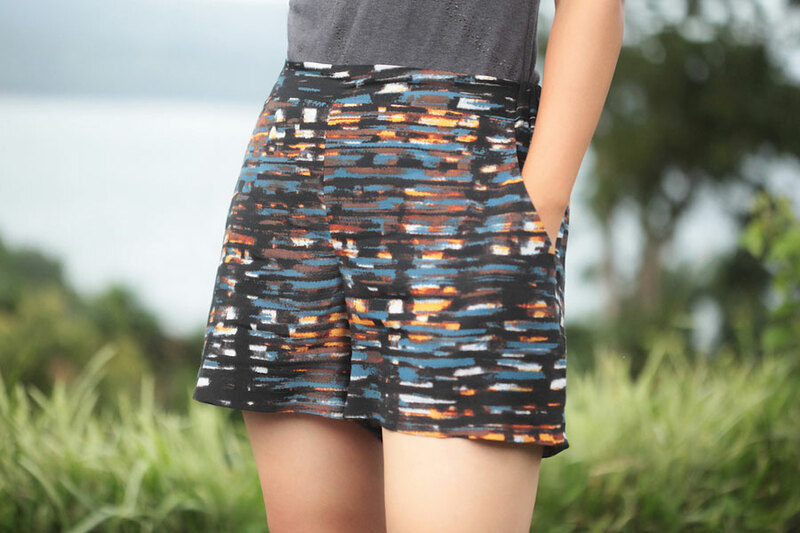 Whether you are enjoying the great outdoor or lounging in the house this summer, you don’t want to live without the Belize Shorts + Skort pattern. 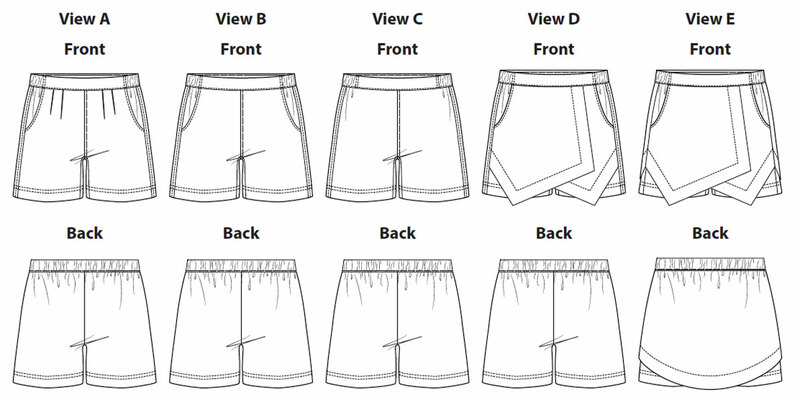 With one pattern, you can create five different styles of shorts and skorts. They all feature elastic waist and medium length in-seam. That’s right; no zipper and no buttons! 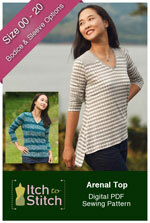 They are a breeze to sew and leave you enough time to enjoy the gorgeous sunshine. Primary Fabric: Use lightweight denim, linen, poplin, twill, crepe and gabardine silk dupioni or other medium weight woven fabric with or without stretch. Use slightly lighter weight fabric for View D and View E. Lining: Use lightweight woven fabric such as twill, broadcloth or quilting cotton. Interfacing: Use lightweight woven or weft-insertion interfacing. Compare your hip circumference (widest part) to the “Body Measurements” table. 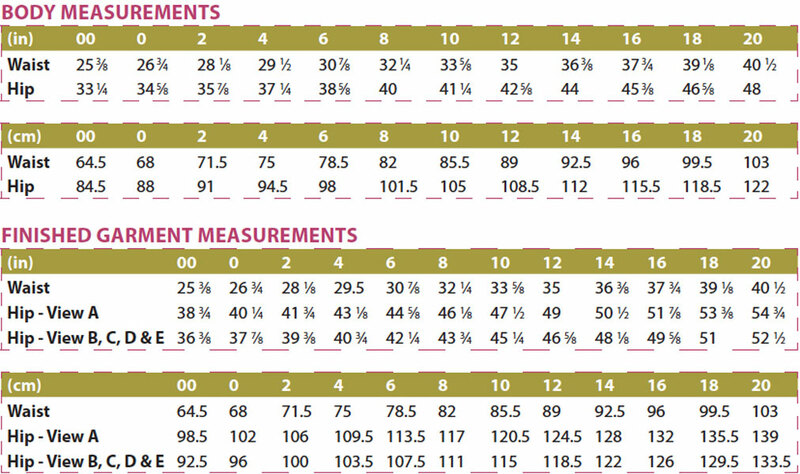 Choose a size based on your hip measurement. If you are between sizes, choose the smaller size if you like your garment more fitted; otherwise, choose the bigger size. Compare your waist circumference (narrowest part) to the “Body Measurements” table. 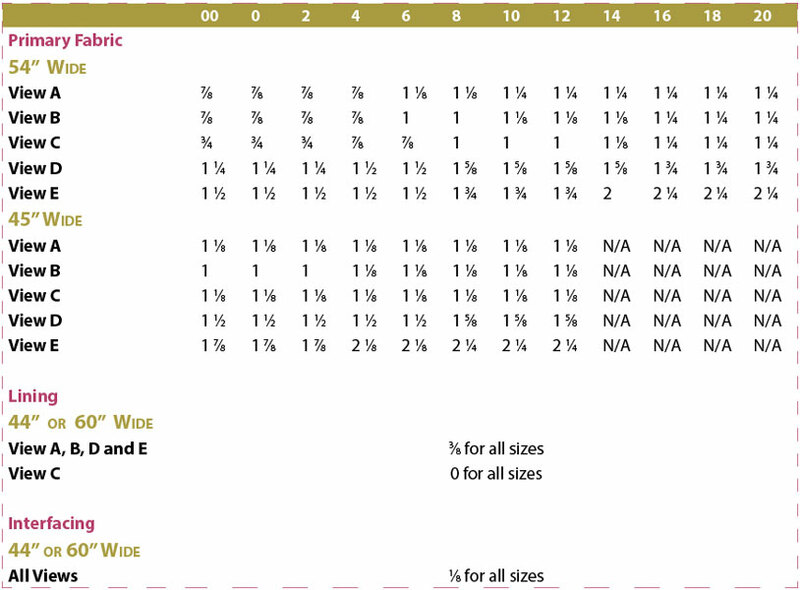 Choose an elastic length (see “Other Materials” on page 4) based on the size that fits your waist best. If you are between sizes, choose the smaller size if you like your garment more fitted; otherwise, choose the bigger size. There is no need to blend sizes from the waist to the hips on the pattern pieces.